I will be the first to admit, I have a little bit of a problem when it come's to advent calendars. Every year I seem to add another one to my Christmas collection. I just can't resist! When I stumbled across The Christmas Boutique on twitter and realised they sold 49 types of advent calendar I was in some sort of Christmas heaven. We were sent this absolutely gorgeous reindeer head calendar to review. I have not seen anything like it anywhere else. I love the modern design and it look's fantastic on my wall. Now as I already have numerous other advent calendars my plan for this calendar is to include little note's in each felt pocket detailing the Christmas activity we are going to do that day - it could be something as simple as walking down our street in the dark to look at the Christmas lights or bake mince pies or something more extravagant like going to the pantomime (all depends what's in my diary?). We have done this before with other advent calendars and my children love it - they get more excited about the activities than the chocolate in their other calendars. Time for more pictures, isn't he stunning. I am in love and will be using this calendar in years to come (actually forever). This reindeer head retails at £34.99 which I think is a very good price for such a beautiful piece. A lot of work has gone into both the head and the individual felt pockets. 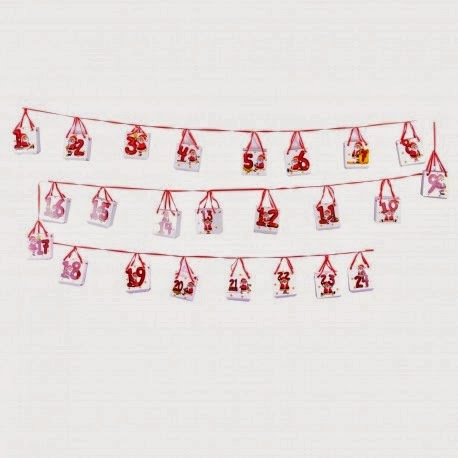 The pockets are very spacious and could easily hold mini-toys or treats and there are two hook's to the rear of the head to ensure the reindeer will stay in place on your wall meaning this calendar is not only beautiful but practical too. 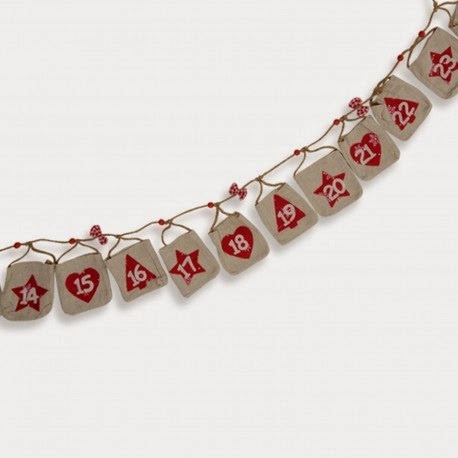 This weekly advent calendar is something more unusual. There are four numbered buckets to hold tealights which traditionally represent Hope, Love, Joy and Peace. This would make a stunning centrepiece over a dining table. I really love the traditional style of this calendar and definitely think it is a design that would stand the test of time. I could see this being placed on the wall next to our tree to complement the traditonal design. £9.99 is an absolute bargain for this calender! I love the traditional design and think it would look lovely above a fireplace. 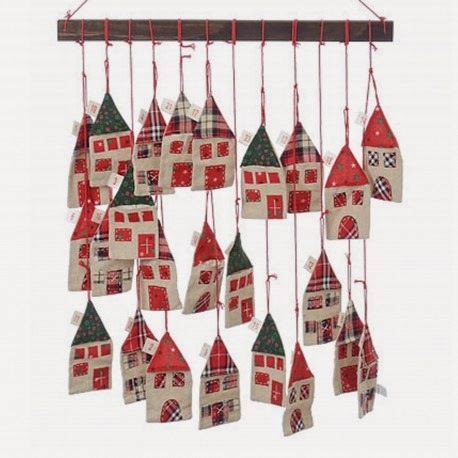 I adore the unique design of this calendar - each 'house' has been randomly placed adding to the excitement of finding the correct number every morning. 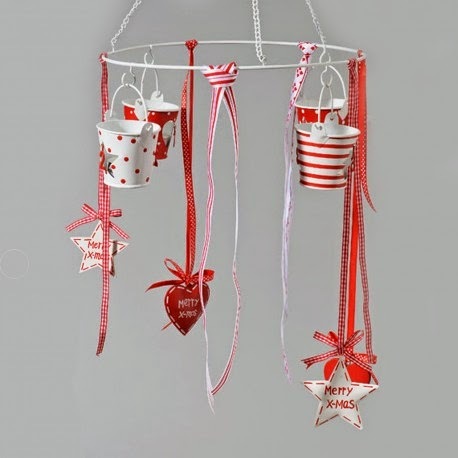 Standard delivery is free with The Christmas Boutique and this is just a tiny snippet of what is available. It really is your one-stop shop for everything Christmassy from Christmas dining to wall art and decorations. If like me, you hate braving the shops at this time of year, make sure you bookmark their website now. We were kindly sent some products for the purpose of this review - all thoughts are our own. Look out for more reviews from The Christmas Boutique coming soon and I'm sure our reindeer calendar will be making a re-appearance in some of our December posts.! Oh wow! I do like those....Makes a change from the normal one's you get with the door to open and a chocolate....I haven't seen anything like the reindeer head before....So unique. That's the most beautiful advent calender I've seen, it's more like an ornament! I absolutely love it. Love the reindeer! Every year I mean to invest in a proper advent calander. I am loving that reindeer!